Simmtester.com (CST Inc.) provides the ideal memory solution for a wide range of needs - from Memory FAQ to Memory Testers and Diagnostic Software. CST will bring to you what's happening in the industry with the latest News and Articles. Visit the Site Map for detail. Eureka 2400 DIMM/SODIMM DDR4 Tester now start to deliver ! Eureka DDR4 2400 Test Solution. MS-100D DIE Sorting Tester now start to deliver ! Eureka2s Mobile Memory Tester for testing Multi-Chip-Package (MCP) memory. Find out how DDR4 DIMM/SODIMM Memory SPD EEPROM is program in the Industry ! 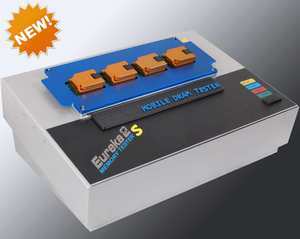 Eureka Express DDR3 Dual Socket Memory Tester. Complete 1866 / 1600 / 1333 Mhz DDR3 DIMM / SODIMM /LRDIMM testing solution. Hands-free,Compact & Self-Contained Automated "Pick & Place" DIMM Memory Testing with the affordable RoboFlex2 Handler . For DIMM...LRDIMM to SODIMM to Registered RDIMMs. Works for 288pin DDR4, 240pin DDR3, 240pin DDR2 and 184pin DDR SDRAM module. View Robo-Flex2 for DDR4 Handler Demo . SP3000 DDR2 Memory Tester now available . Complete 1066/800/ 667/ 533/ 400Mhz DDR2 testing solution. Find out more about DDR2 testing? 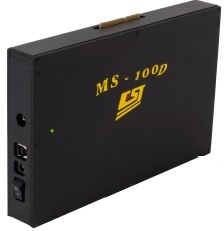 SP3000 DDR3 Memory Tester now available. Complete 1700Mhz DDR3 DIMM/SODIMM testing solution. Find out more about DDR3 Memory Tester ? Eureka2 DDR3 1600Mhz Memory Tester available with Heat Chamber Box . Complete 1600Mhz DDR3 testing solution. Find out more about Eureka2 DDR3 Temperature testing? DDR4 Memory overview. Read this one part series on DDR4 DIMM/SODIMM Module. DDR4 SPD Definition . Find out all about it . Get the inside details in this article . Memory Module Picture - Check out the latest pictures of JEDEC standard Memory modules. We are participating in major 2018 Trade Shows. It seems that every day brings another test announcement. Wireless test competitors Anritsu, Keysight Technologies, and Rohde & Schwarz have each made 5G-related announcements in April. They aim to demonstrate the benefits on a handful of use cases for automating operations using 802.11ax Wi-Fi, also known as Wi-Fi 6. The new C2F is a single floor fab with an area of 58,000 square meters. The company has begun production of DRAMs in a part of a sector of the new cleanroom. Full operations of the entire fab will be decided later in accordance with market conditions. Trump seeks increase in investment into "Opportunity Zones"
New regulations aimed at making it easier for investors to take advantage of tax breaks for investing in "Opportunity Zones" in low-income areas. Will AIs take over not just some jobs, but most of them? There are a lot of stories to be told about the many valid reasons to fear AI. After consecutive record-sales years in 2017 and 2018, SEMI expects the equipment market to come back to earth in 2019 as the end of the memory chip boom puts a damper on new equipment purchases. SEMI forecasts that chip equipment sales will decrease about 14% this year. KYEC will rent its existing clean-room site to Qualcomm to house the planned engineering test center and will offer related manpower and R&D resources, while Qualcomm will provide most of high-end testing facilities. The Federal Reserve says industrial output — combining production at factories, utilities and mines — slipped 0.1% in March from the previous month. This involves more than 300 Dialog staff transitioning to Apple employees, becoming part of Apple's hardware technologies team under Johny Srouji.